While at the airport getting ready to fly home I looked around to see if I could find some tea to buy. Unfortunately, most of what I saw was matcha which was not what I wanted. 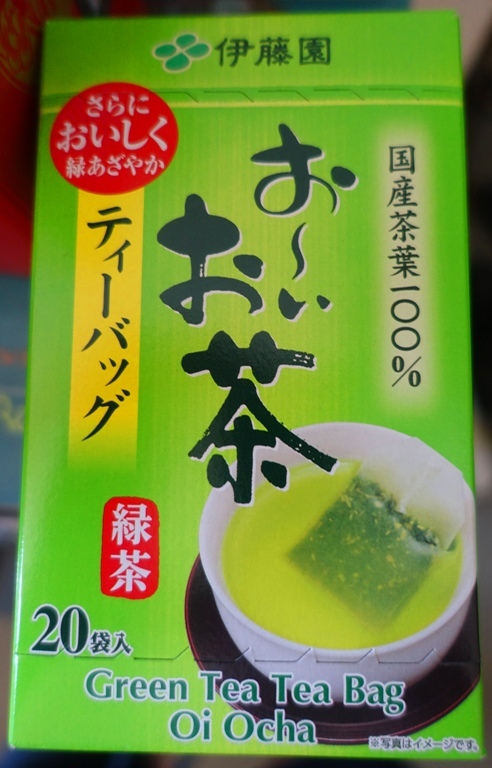 I did find a box of green tea from Oi Ocha which is the best selling tea in Japan. Earlier in the trip I had bought a couple bottles of their tea and have seen it on many trips to Japan. I was looking for loose leaf, but had to settle for tea bags. In Japanese ‘Oi Ocha’ means ‘tea time’ or ‘tea please’ so tonight it was oi ocha. I soon had a cup of tea brewing. 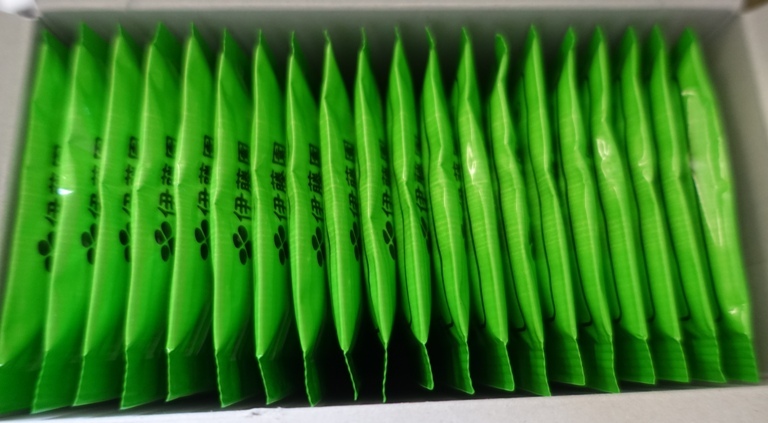 The brew time was very short as it only needs 30 seconds which is typical for tea bags. 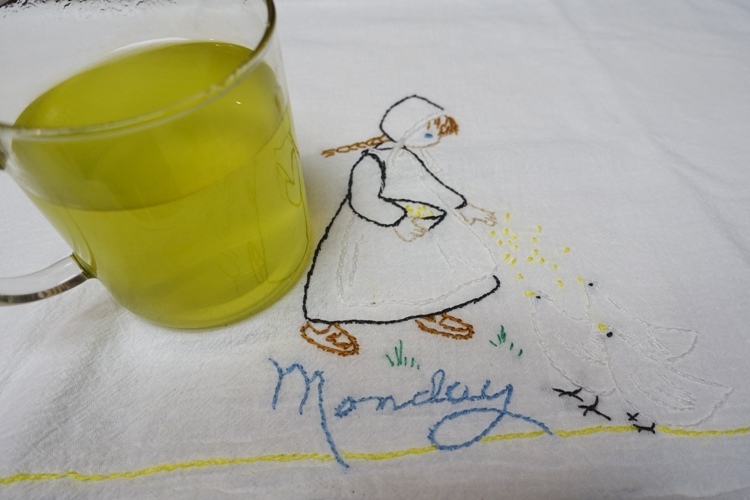 The tea was a very bright yellow/green. 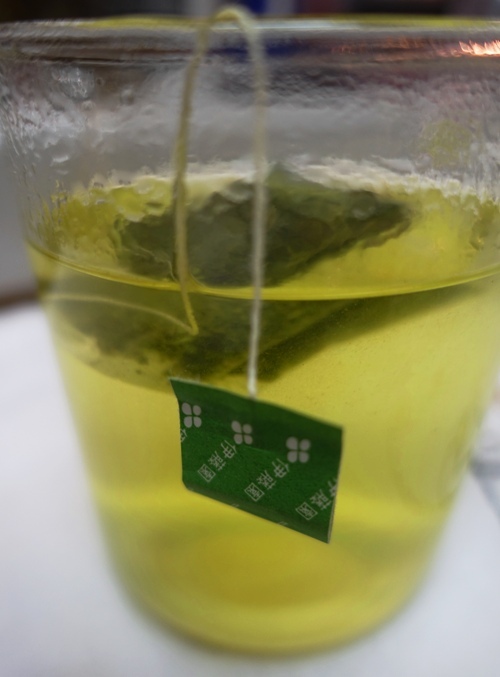 The tea was not very clear, but had a cloudy appearance. I did enjoy the taste of the tea as it had a bit of body to it. Much better than the tea made from the green tea bags that we have in our cafeteria at work. The tea woke me up a bit which is good as I need to go to bed at my regular time tonight. 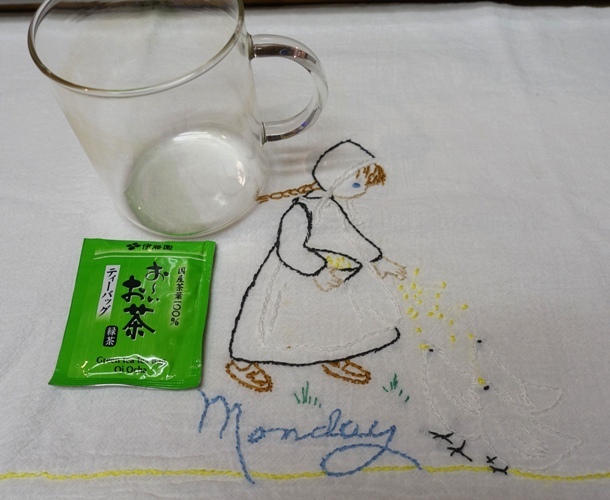 This entry was posted in Culture, Food, Japan, Tea and tagged green tea, Japanese tea, Monday tea, oi ocha, tea bags. Bookmark the permalink.